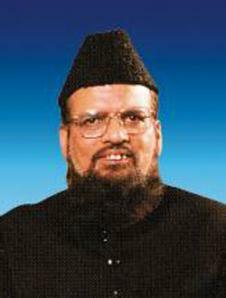 Justice Sheikh Muhammad Taqi Usmani is a leading scholar of Islamic jurisprudence. He is considered to be the intellectual leader of the Deobandi movement. He served as Judge of the Shariat Appellate Bench of the Supreme Court of Pakistan from 1982 to May 2002. He specialises in Islamic jurisprudence and financial matters. Deobandi Figurehead: Usmani is very important as a figurehead in the Deobandi movement—one of the most successful of the Islamic revivalist initiatives of the past century. Usmani was born in Deoband, India, to Mufti Muhammad Shafi (the former Grand Mufti of Pakistan) who founded the Darul ‘Uloom, Karachi, a leading centre of Islamic education in Pakistan. He has authority to teach hadith from Sheikhul Hadith Moulana Zakariya Khandelawi amongst others, and he traversed the spiritual path of Tasawwuf under the guidance of Sheikh Dr. Abdul Hayy Arifi, a student of the founder of Deoband, Moulana Ashraf Ali Thanvi. It is estimated that over 65% of all madrassas in Pakistan are Deobandi as well as 600 of the 2000 mosques in the UK. Deobandis consider themselves orthodox Hanafi Sunnis. They rely heavily on the writings of the 18th century scholar Shah Walliullah Dehlvi. Leading Islamic Finance Scholar: Usmani’s other influence comes from his position as a global authority on the issue of Islamic finance. He has served on the boards, and as chairman, of over a dozen Islamic banks and financial institutions, and currently leads the International Shariah Council for the Accounting and Auditing Organization for Islamic Financial Institutions (AAOIFI) in Bahrain. 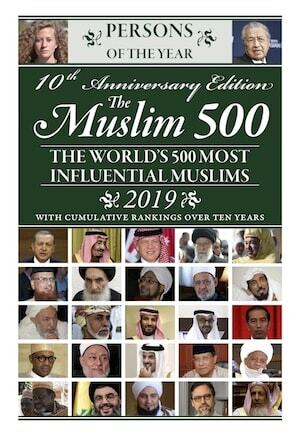 He is also a permanent member of the International Islamic Fiqh Academy of the Organization of the Islamic Conference, one of the highest legal bodies in the Muslim world. Writer: He is the Chief Editor of both the Urdu and English monthly magazine ‘Albalagh’, and regularly contributes articles to leading Pakistani newspapers on a range of issues. He has authored more than 60 books in Arabic, English, and Urdu. New Works: He is directly supervising The Hadith Encyclopedia, a masterful, pioneering compilation which will provide a universal number to each Hadith in a manner that will make referencing any Hadith as easy as it is to refer to an Ayat of the Quran. The Encyclopedia will be over 300 volumes. A second major work being undertaken is entitled The Jurisprudence (Fiqh) of Trade. The Book concludes with a proposed Code of Islamic Law of Sale of Goods and Transfer of Property, which serves as a powerful “Call to Action” for regulators and standard setting organizations alike. Deobandi Figurehead: Usmani is very important as a figurehead in the Deobandi movement–one of the most successful of the Islamic revivalist initiatives of the past century. Usmani was born in Deoband, India, to Mufti Muhammad Shafi (the former Grand Mufti of Pakistan) who founded the Darul ‘Uloom, Karachi, a leading centre of Islamic education in Pakistan. He has authority to teach hadith from Sheikhul Hadith Moulana Zakariya Khandelawi amongst others, and he traversed the spiritual path of Tasawwuf under the guidance of Sheikh Dr. Abdul Hayy Arifi, a student of the founder of Deoband, Moulana Ashraf Ali Thanvi. It is estimated that over 65% of all madrassas in Pakistan are Deobandi as well as 600 of the 1500 mosques in the UK. Deobandis consider themselves orthodox Hanafi Sunnis. They rely heavily on the writings of the 18th century scholar Shah Walliullah Dehlvi. Leading Islamic Finance Scholar: Usmani’s chief influence comes from his position as a global authority on the issue of Islamic finance. He has served on the boards, and as chairman, of over a dozen Islamic banks and financial institutions, and currently leads the International Shariah Council for the Accounting and Auditing Organization for Islamic Financial Institutions (AAOIFI) in Bahrain.  He is also a permanent member of the International Islamic Fiqh Academy of the Organization of the Islamic Conference, one of the highest legal bodies in the Muslim world. New Works: He is directly supervising The Hadith Encyclopedia, a compilation which will provide a universal number to each hadith in a manner that will make referencing any hadith as easy as it is to refer to an Ayat of the Quran. The Encyclopedia will be over 300 volumes. A second major work being undertaken is entitled The Jurisprudence (Fiqh) of Trade.The Book concludes with a proposed Code of Islamic Law of Sale of Goods and Transfer of Property, that serves as a powerful “Call to Action” for regulators and standard setting organizations alike. 143 – publications authored in Arabic, English, and Urdu. 10 thousand – students at the Darul ‘Uloom Karachi.